those who seek to work in an art library or arts institution. The experience offered will be tailor-made to support the volunteers’ future professional interests in working in museums, libraries, archives or galleries. 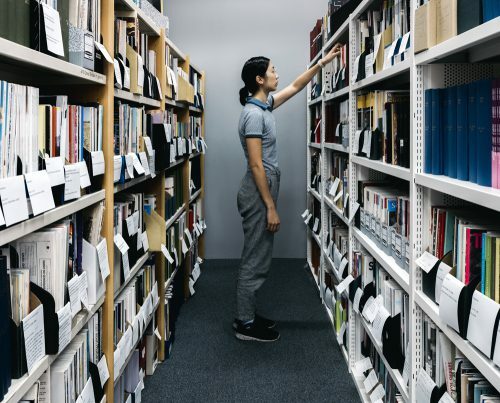 You will gain valuable insight into how a special library collection is managed and organised, working on tasks including, frontline reference desk services, indexing and abstracting, cataloguing, shelving and general administration. Volunteers may also participate in library tours, providing event support (e.g. reading groups, public speaking), researching and preparing reading lists, and other tasks around the library collection. Undertaking any other appropriate duties, as determined by the Library and Archive Manager. Be willing to undergo training to effectively carry out duties as may be required from time to time by the Library Manager. We require all volunteers to attend an induction and training which may be delivered through organised training sessions, work shadowing or under supervision. £10 towards lunch and travel expenses per day. To gain maximum benefit from this volunteer opportunity you will need to be available one day per week between Tuesday to Friday, 10am-5pm or Saturday, 10am-4pm for 3-6 months. The deadline for applications is Monday 29 April 2019 at midnight. Email a CV and covering letter in PDF format (no more than 4 pages) to Tavian Hunter, Library and Archive Manager (thunter@iniva.org) explaining why you would like to volunteer at the Stuart Hall Library with your length of availability.